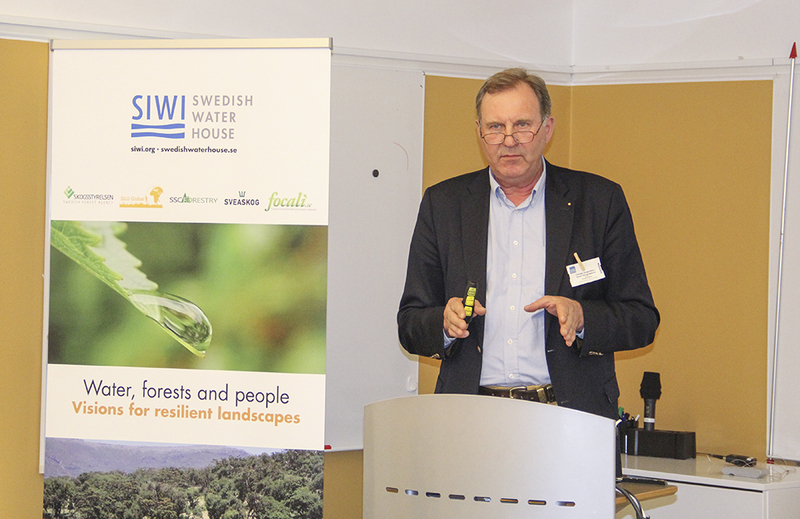 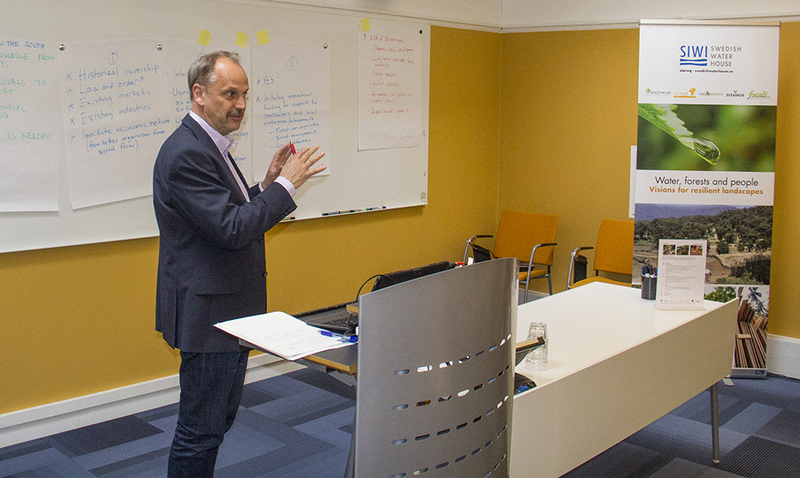 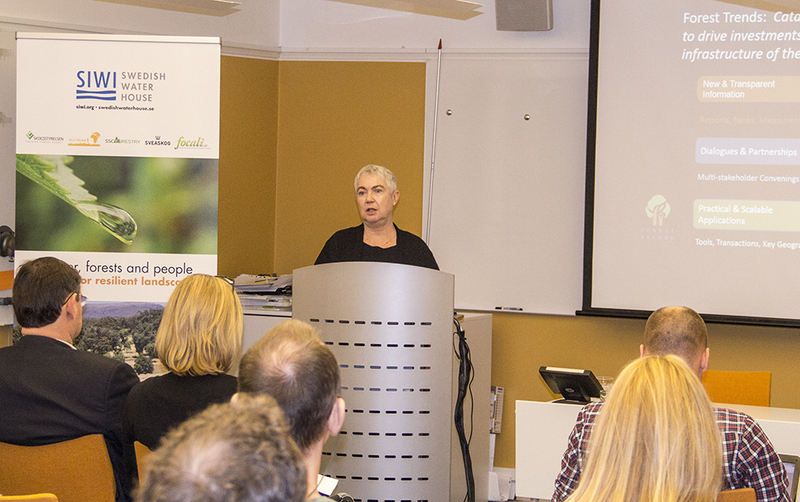 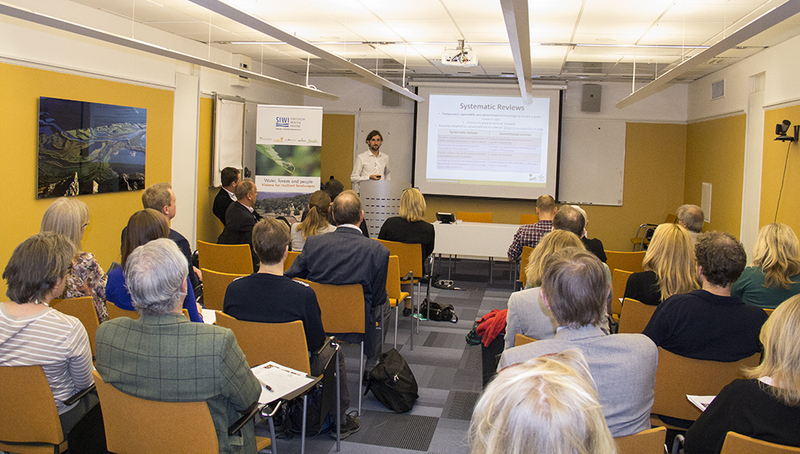 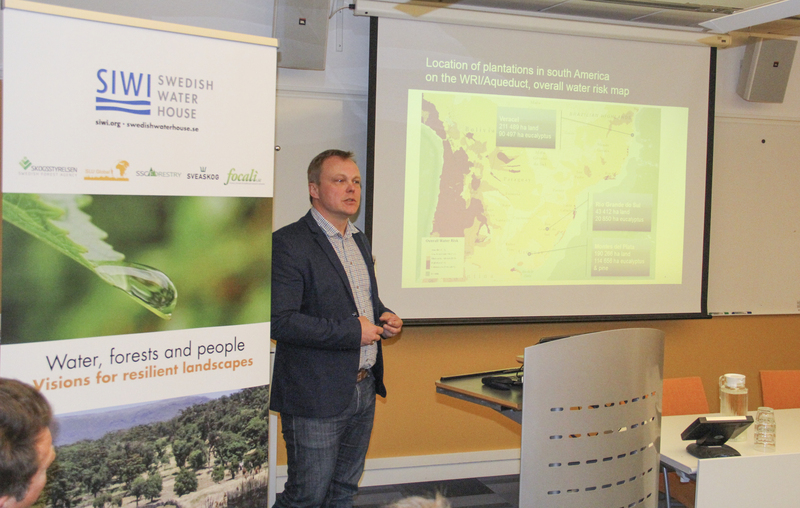 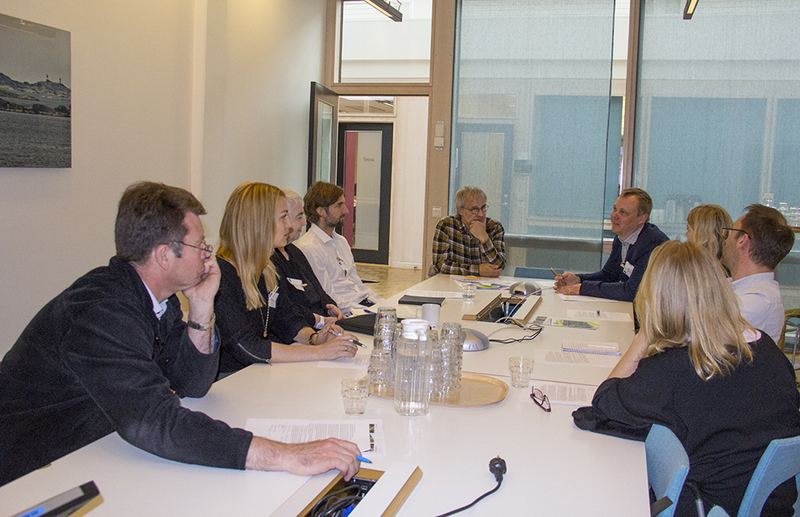 This was the second seminar arranged by the Swedish Water House cluster group on Water and Forests. 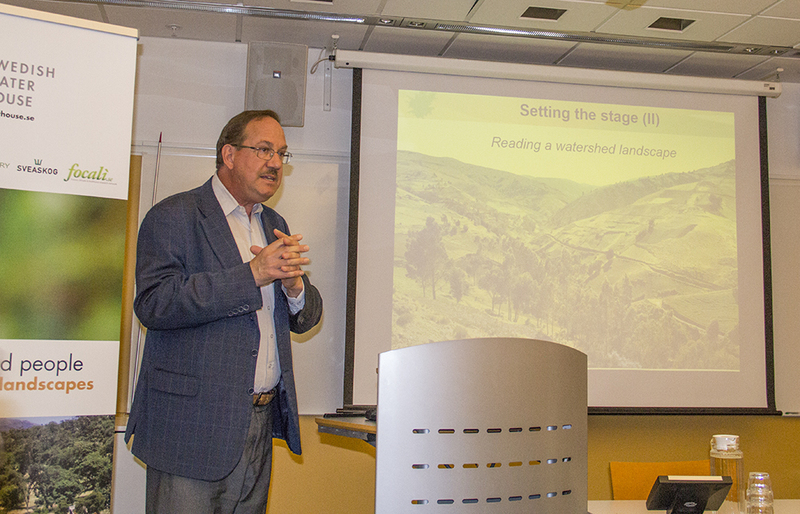 Keynote speakers illustrated the importance of intact and restored landscapes to water resources, livelihoods, biodiversity and sustainable development potential. 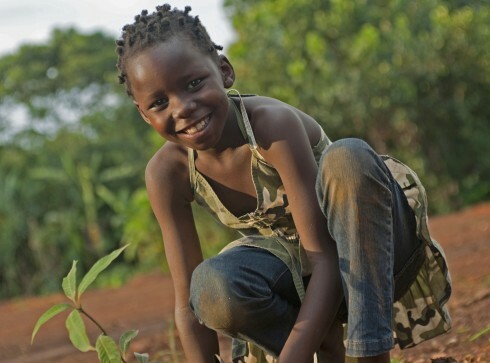 Case studies exemplified how forests are strategically used to secure clean water to urban and rural societies in developing countries, as well as for production of food, fiber and fuel. 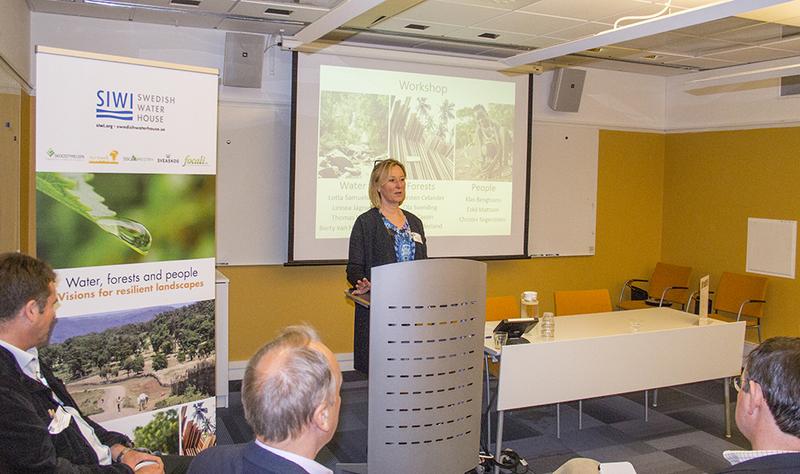 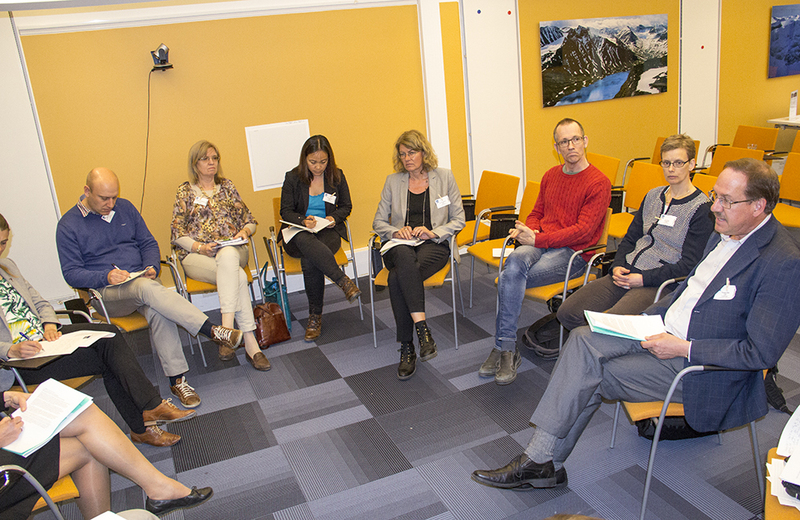 After lunch, participants were invited to discuss how stakeholders from the Swedish forest sector can initiate and support innovative activities and projects that support restoration of degraded forest landscapes, sustainable forestry and sustainable management of water resources in developing countries. 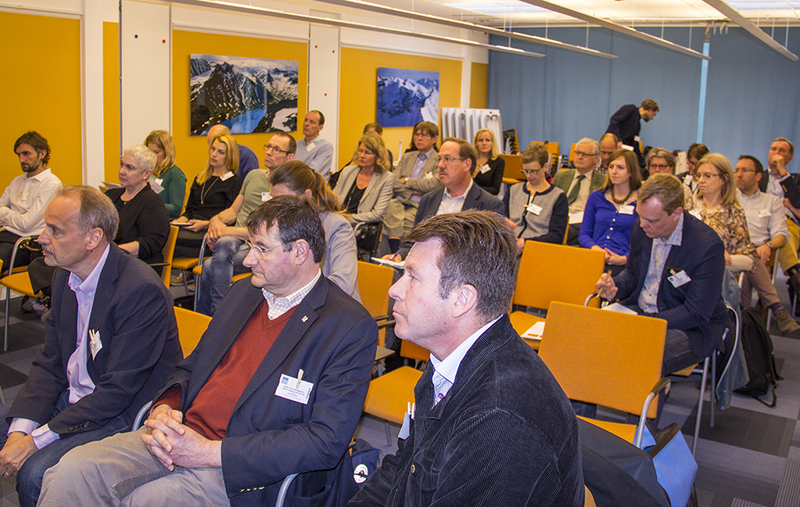 Presentations from the seminar can be found under the “Files” tab. 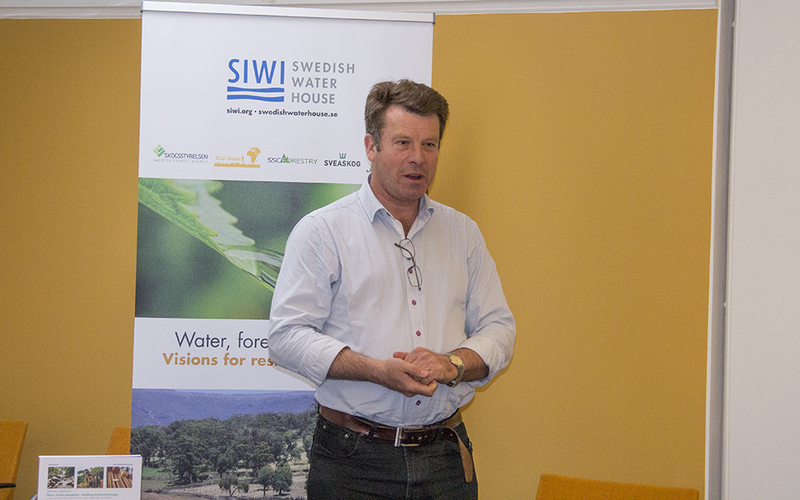 11:55 Empowering forest smallholders – a key to secure water resources? 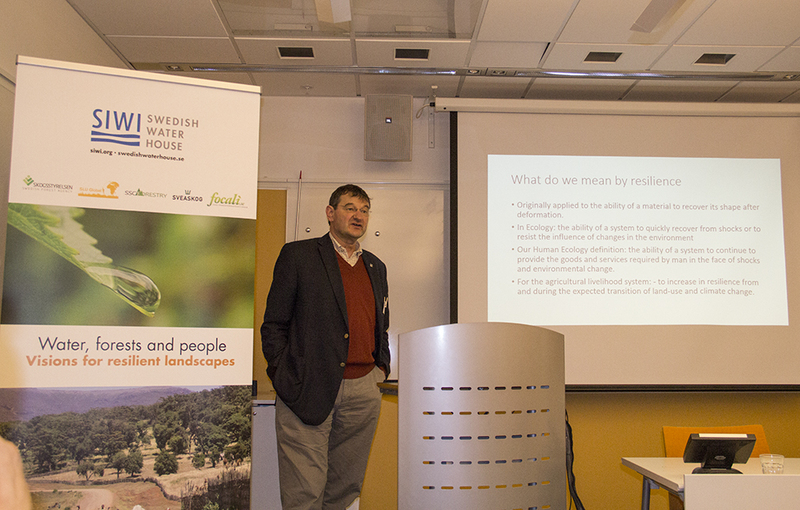 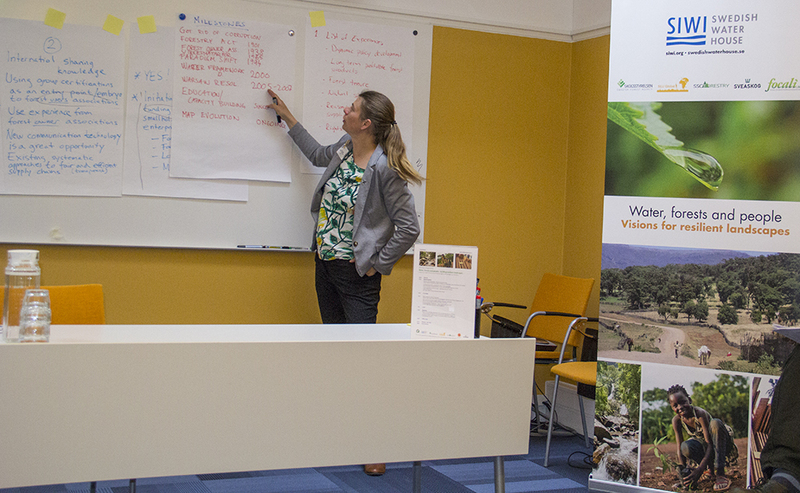 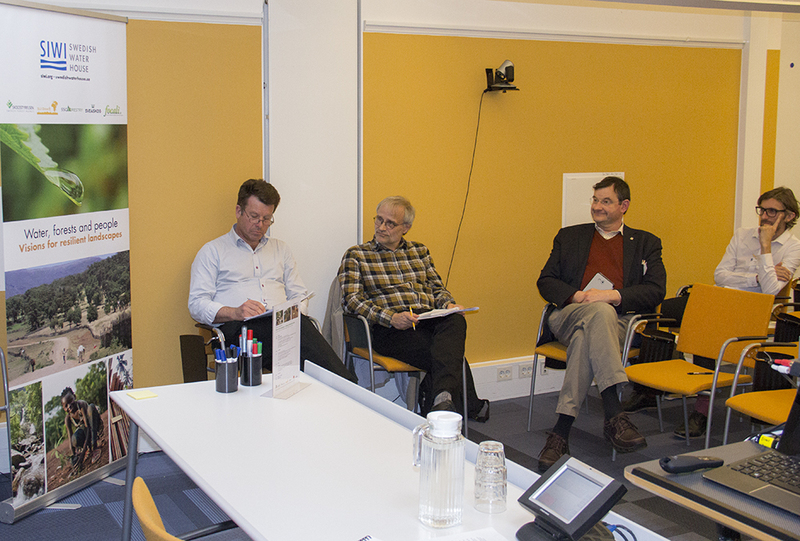 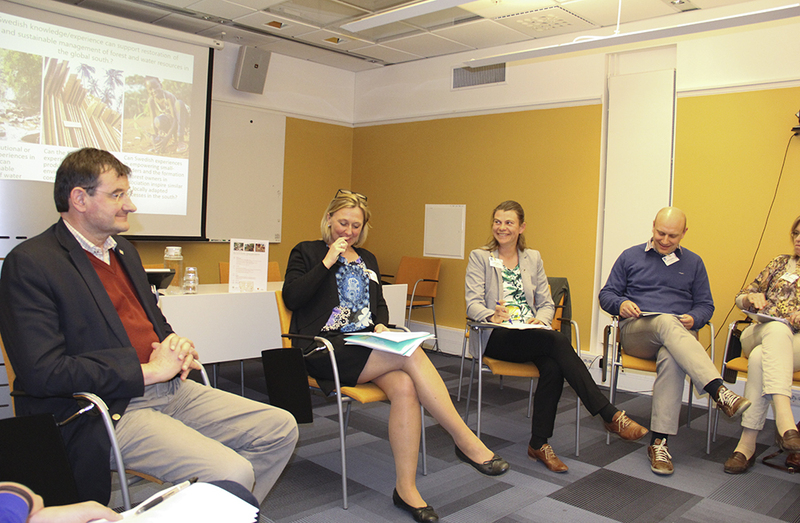 Based on the challenges presented in the morning and in previous seminars – what activities and projects could Swedish forest stakeholders engage in to contribute to better water management and more resilient forest landscapes in developing countries?